When a person prepares to paint, what he first thinks about is using a brush and a roller. These elements are usually sufficient for most painting projects and especially for large projects, but to paint details on a difficult surface due to its recesses or small individual elements such as a window we use spray or spray paint, because it is less tedious than Brush painting and usually offers a smooth and even surface. One of the main advantages of spray painting or aerosol are speed and accessibility. Painting with a sprayer is much quicker to use than a brush or roller. 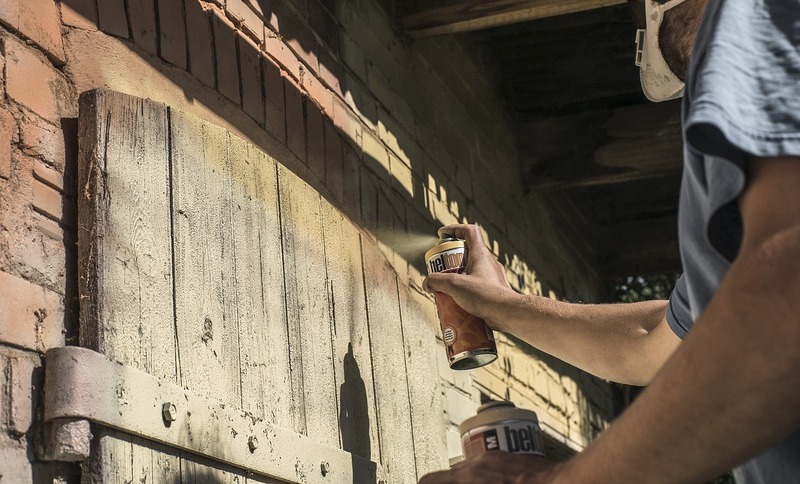 The small particles of paint emitted from the sprayer ensure complete and rapid coverage in every corner or corner of a wall or a piece of furniture. Paint rollers can not easily access the corners of walls or spaces reduced by their shape. Also, if you try to force the roller it is likely to end up with scratches on the surface or wet paint stains. However, this problem can be eliminated by using a paint sprayer designed to spray a fine mist in hard to reach places. Paint rollers do not always offer a smooth finish at the end. However, this does happen with a spray gun because the paint particles form a thin layer, covering all the surfaces it touches. The truth is that this advantage is very attractive to paint furniture frames, stairs or windows, for example. Among the advantages of painting with spray is also its variety. The paint spraying and spraying devices are available in Affordable Interior Painting, in different sizes and varieties for use. There are many different types of spray paint according to the project for which it is carried out. In addition, the spray cans are easy to transport and to handle and this is a quality that we take into account when programming any painting project. We will make sure to protect the place where we will apply the paint to avoid unexpected and unwanted spots. It is also very important to use the spray correctly, something we know how to handle perfectly, with this the paint will not go beyond where it should go. We will apply the best techniques so that our work is impeccable and with the neatness that characterizes us, using the correct distance between the spray and the object to be painted, to avoid an accumulation of paint, sagging or squeezing. Contact us to expand this information and get to know our promotions. Article created based on: Ventajas de pintar con spray (2016), Brocoydeco (n.d.). We have a page with complete information about our company and the services we provide, and for any questions we have available our social networks, contact form and phone line.